“Risks that Matter 2019”, a new OECD report [PDF], shows a familiar public opinion pattern. 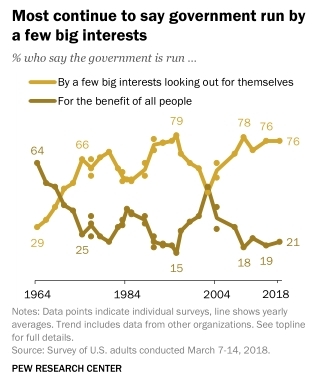 Most people in most countries (in this case OECD countries) feel government does not serve their needs and does not take their opinions into account when formulating policy. “Against Lottocracy” (PDF) is a 2018 paper by Lachlan Montgomery Umbers from the department of philosophy at the University of Western Australia. 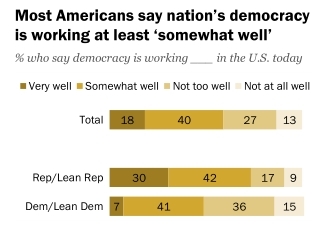 Dissatisfaction with democratic institutions has run high in recent years. Perhaps as a result, political theorists have begun to turn their attention to possible alternative modes of political decision-making. Many of the most interesting among these involve reliance on lotteries in one way or another – as a means of distributing the franchise, selecting representatives, or making social choices. Advocates of these ‘lottocratic’ systems contend that they retain the egalitarian appeal of democracy, while promising improved political outcomes. The aim of this article is to defend democracy (or, at least, universal suffrage and majority rule) against the challenge posed by these proposals. I argue, firstly, that lottocratic systems necessarily involve the establishment of objectionable social and political inequalities in a way that democracies do not. Secondly, I raise a number of doubts with respect to the purported instrumental benefits of these proposals. The paper is an attempt to formulate a reasoned (negative) response to proposals for instituting sortition-based government as a substitute to elections-based government, and specifically (as its name indicates) to Alexander Guerrero’s proposals. By doing so, the paper represents a significant step forward in the Anglophone academic discussion of sortition. In English-speaking academia proposals for setting up “citizen juries” – i.e., allotted, one-time, limited-purview decision making or (more often) advisory bodies – are discussed at length. So far, however, proposals for setting up sortition-based government were either ignored or summarily dismissed (“Nobody is going to support replacing Congress or Parliament with a randomly selected assembly,” as Helen Landemore put it). As it turns out, Umbers argues for the same reformist academic position. Umbers, however, does break some new ground by devoting his energies to making a detailed argument rather than simply taking sortition-based government off the table at the outset. Bard Institute for the Revival of Democracy through Sortition (BIRDS) was recently founded by Jonas Kunz and Hans Kern. Sortition: The Key to Globally Coordinated Climate Change Action? [Natheniel Rich writes in a New York Times article:] “in the decade that ran from 1979 to 1989, we had an excellent opportunity to solve the climate crisis. The world’s major powers came within several signatures of endorsing a binding, global framework to reduce carbon emissions.” To arrive at a clear understanding of what went wrong, we must first do away with the common misconception that big industry is and always has been the main culprit. In fact, as the article reveals, the oil industry was the first, to take due diligence measures, on the dangers of climate change and was preparing to adapt to policy changes. The policy changes, however, never came. Resistance did not come from the outside, it came from within the political structures themselves. In March 2018, a citizen jury convened by the Australian Capital Territory (ACT) government delivered its decision regarding the design of a compulsory third party (CTP) car accident insurance system. The government’s Chief Minister Andrew Barr had committed ahead of time to implement the jury’s decision, but there are now significant political forces pushing against implementation, including Barr’s coalition partner. Adopting the jury’s decision would have significant economic implications for various parties, and as can be expected the process has been called into question. 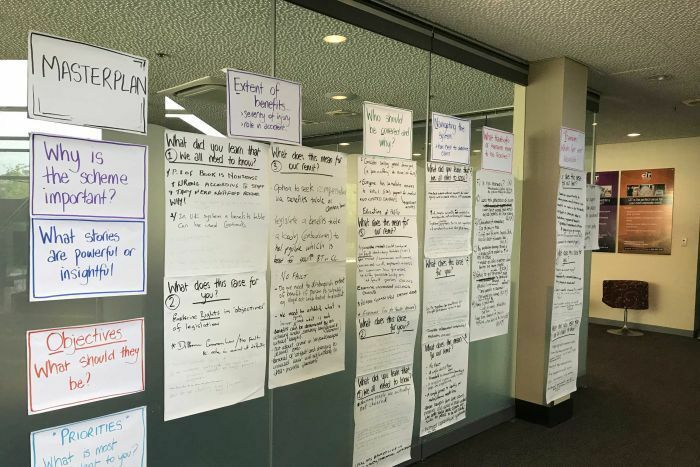 A timeline of criticisms of the citizen jury process is laid out below. While the attacks are no doubt motivated by interests, the claims that the process itself was tainted by interests cannot be dismissed. The important, if unsurprising, lesson for those advocating the use of citizen juries for public policy is that an expectation that the fact that a decision was made by a citizen jury would by itself carry enough power to resolve significant political conflicts is unrealistic. If the citizen jury’s decisions are to have political power, the citizen jury process must be evidently democratic, i.e., representative of the population and free of elite manipulation. In the case of the ACT CTP jury, this does not seem to be the case. As a result, the jury’s decision cannot be taken at face value as being well-informed and well-considered. The “deliberative democracy” process, then, has had very little value. The ACT Opposition will push for higher scrutiny of the citizens’ jury on a new compulsory third party insurance scheme for the ACT after concerns the process has been undermined. Canberra Liberals leader Alistair Coe will on Wednesday call for an inquiry into the citizens’ jury on the insurance scheme currently under way. “The government’s first shot at a citizens’ jury has rightly made Canberrans sceptical of its merits,” Mr Coe said. “If deliberative democracy is going to become a function of government, Canberrans need to be able to trust that it is conducted in a fair and impartial manner.